Project Sea-801. 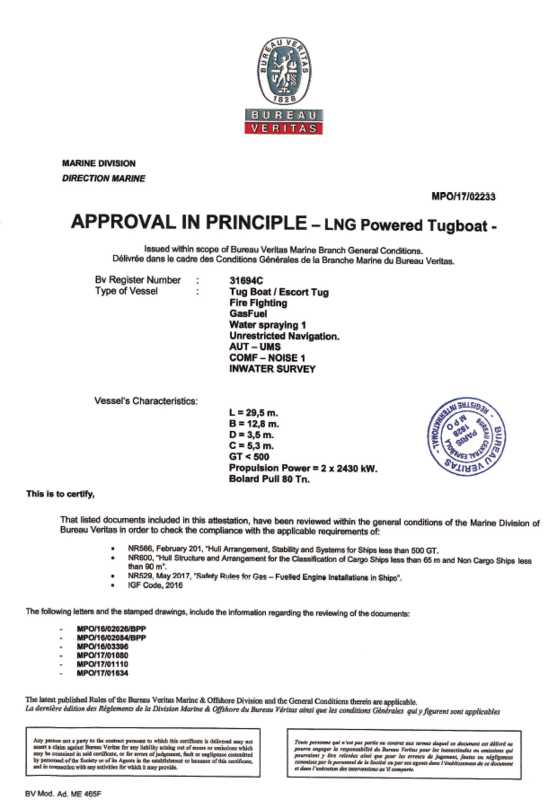 Seaplace has obtained the “Approval in Principle” of Bureau Veritas of the LNG-powered Tractor Tug. More information in the following link.